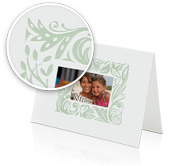 This Mother’s Day, show her how much you care with a personalized photo book made right on your Mac using iPhoto. Open iPhoto now and make a book in minutes. Select the photos or events you want to use. Click the Create button, then Book. Preview your book in the Theme browser and pick a design that’s just Mom’s style. Drag to rearrange photos, or click to edit the layout and text. 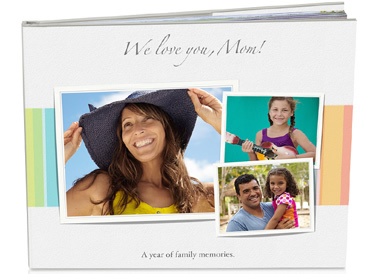 You can even add two-page spreads for stunning views of Mom’s favorite photos. Once it’s exactly how you want it, click the Buy Book button. Your professionally printed book will be shipped right to your—or Mom’s—door. To receive your photo books and cards in time for Mother’s Day, be sure to order by Monday, May 2.
iPhoto print products are available in the U.S., Canada, Japan, and select countries in Europe and Asia Pacific. Internet access required; fees and terms apply. Prices are as of April 16, 2011, do not include taxes or shipping, are subject to change, and are listed in U.S. dollars. Space for workshops is limited and available on a first-come, first-served basis.